“instant” PAN Card is only for Aadhar Cardholder, it is fully Aadhar based PAN Card. 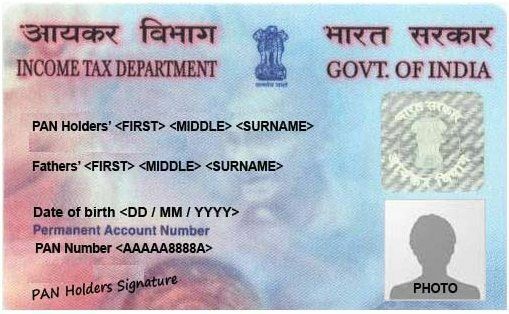 The Income Tax Department has started this PAN Card or PAN number service on Monday. In this service, you will be able to get PAN number within few Minutes. This instant PAN service is completely free. In this instant PAN, you will get an e-PAN number if you are valid Aadhaar Card holders. Friends, At the time of the launch of this instant PAN service, the department official said that the Pan number will be provided to the people who need PAN number for financial services with immediate effect. This e-PAN number also can be used for financial transactions as and when required. On the basis of instant PAN or e-PAN number will be issued to that person who linked their Mobile number to Aadhar Number because at the time of e-PAN number generated a one time password will be sent to your registered mobile number which was linked to your Aadhar Card. If your mobile number, date of birth, address or if any information’s are wrong, immediately update your Aadhar card with correct information, unless you cannot get correct e-PAN because it will be issued totally based on Aadhar Data. This e-PAN Service or Instant PAN Service can be done at the official portal of the Income Tax Department - https://www.incometaxindiaefiling.gov.in. 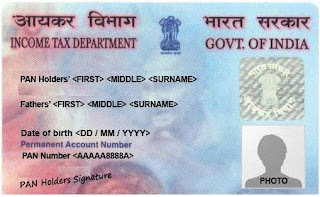 The Income Tax Department extended the deadline to link PAN Card to Aadhar Card till 31 March 2019. This is the fifth time to extended deadline linking Aadhar and PAN. The official Said” Once the e-PAN is issued by this Aadhar based Verification process within few minutes the applicant will get the PAN card by post. To apply for e-PAN click here: https://www.incometaxindiaefiling.gov.in. If you like this post, please share this post to your friends and relatives. You can also join us Social Media.